The most beautiful kitchen countertops combine elegance, versatility and durability and these kashmir white granite ones do that and more. 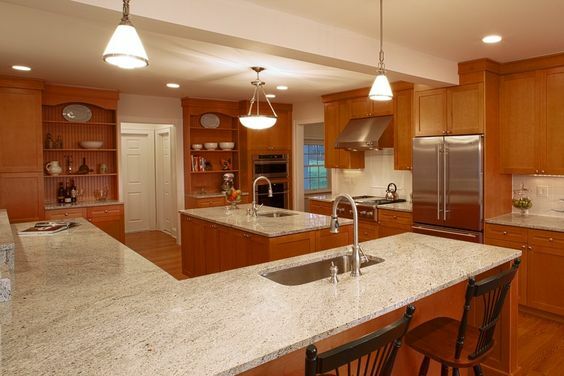 Kashmir white granite is starting to slow down a little in popularity, but it’s still not something you should ignore. That’s because it’s actually a super-elegant and stylish design that gives you a ritzy feel with just the right amount of colored accents. 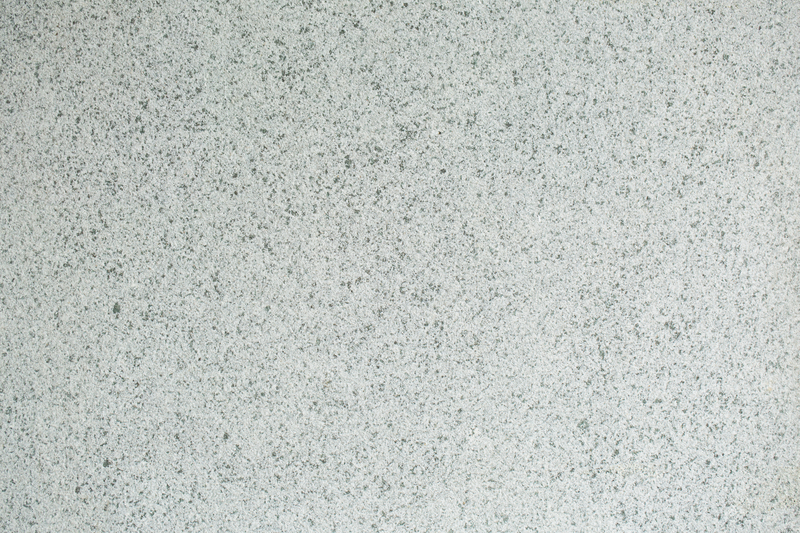 The background of Kashmir white granite is a cottony white color that makes you think of clouds and the most beautiful days of summer, but the accents snaking throughout are charcoal, steel and dove gray in dapple and speckle patterns. With this pattern, you can definitely see all of the beautiful colors, but you’re also going to see plenty of the background too. 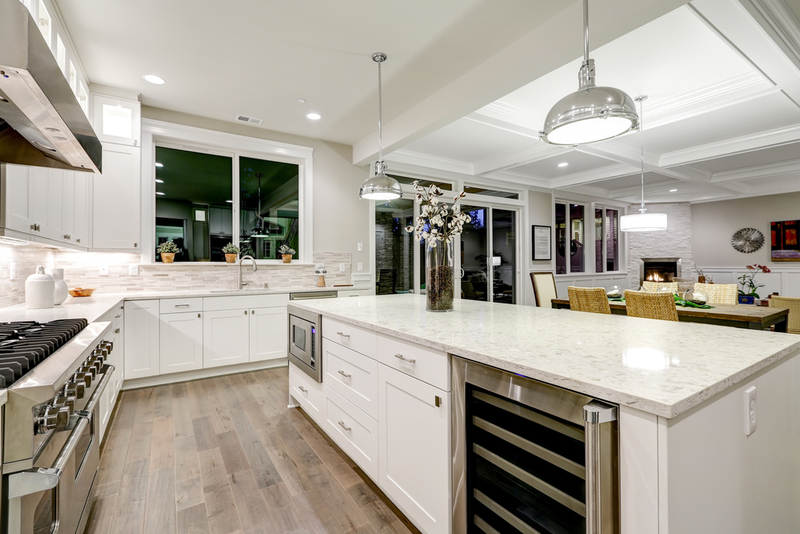 The truth is, Kashmir white granite has started to fall out of favor with a lot of people, but it’s still something beautiful that you may want to look at when you’re considering different types of granite and especially white granite. That’s because it’s actually great for a number of different purposes. 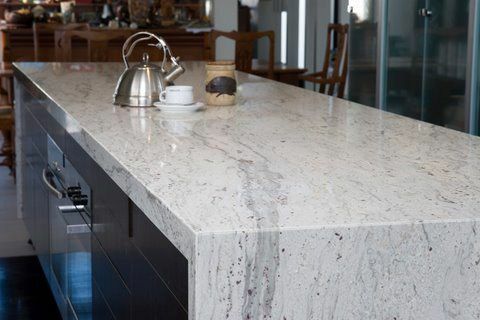 Kashmir can be used for countertops but it’s actually a great option for using in the floors and even walls of your residential or commercial kitchen or bathroom. Anywhere you want to have that glitzy feel you’ll be able to do it with this beautiful, polished slab of Brazilian granite. Available generally in 2cm and 3cm thick slabs, this material is actually rated for exterior use and freezing climates as well as all your favorite indoor spaces. That means, it’s going to be extremely versatile in a way that a lot of other countertop materials just aren’t. If you’re looking for something timeless then this is a good option to consider more carefully. The soft color base makes it a good option for anyone who is redecorating or redesigning their kitchen while the flecks of color are just enough to give you some accent. Even better, this beautiful slab can be made to fit just about any style you have by accenting other pieces, other colors and other cabinet styles. You’ll see in the pictures to follow, Kashmir white granite can be unique while still being something everyone is going to want to have. All you need to do is match it out in your kitchen. Take a look at the different pictures and ideas we’ve got available here. You’ll be surprised how many different ways you can make something entirely your own. 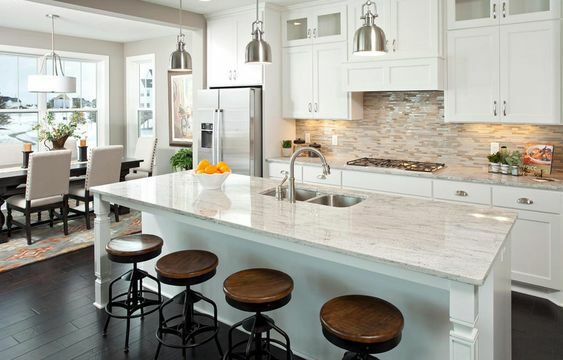 Whether it’s dressing things up or getting a little more rustic to tone them down, there’s something about Kashmir white granite for everyone who wants it. The smooth feel and glossy accent to this is what makes it a one-size-fits-all option that you will immediately want to put in your home. 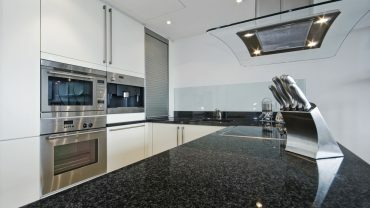 It might be a little more expensive than other options, but with granite you’re going to get what you’ve paid for and when it comes to this, you’re getting absolutely amazing options. 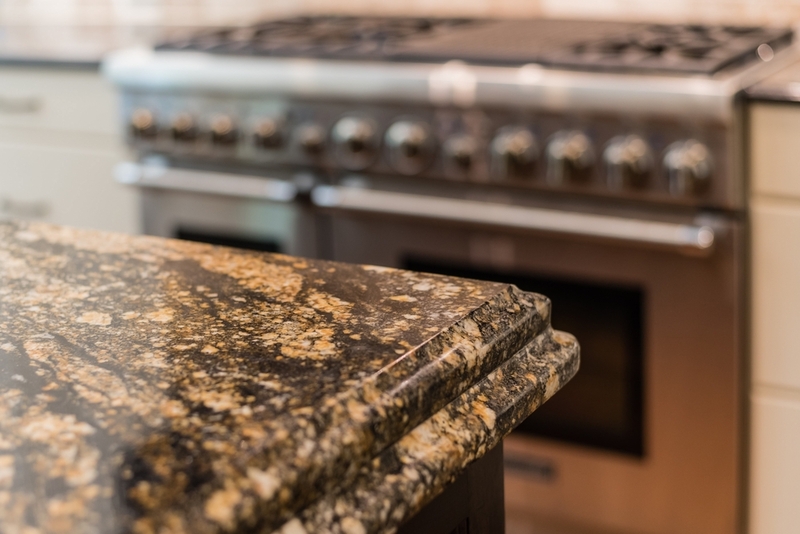 This granite will make your kitchen look like yours and no one else’s when you’re done with it and it’s going to show off the style you may have been having to hide all these years with your old (and probably boring) countertops. There’s nothing boring about this. 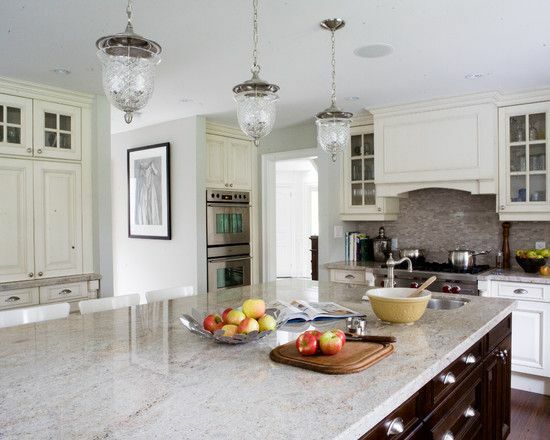 Crisp, clean, white cupboards tie in with the white granite for an elegant and stylish look. The frame and glass design of the cupboards makes everything more modern. 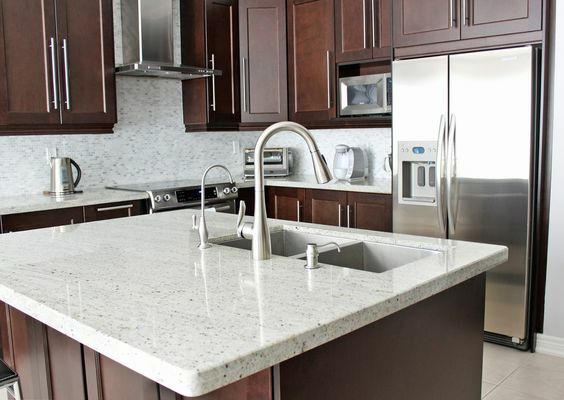 A light cherry color makes the white of the granite countertops really pop. With a bolder frame for the doors, it also creates a more rustic style. 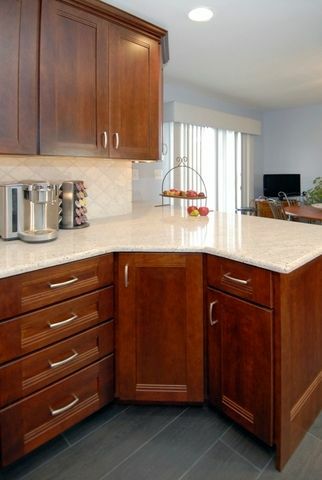 Deep cherry adds to the elegance of these white countertops. It’s even more apparent with the framed doors and bold hardware. Grey cupboards can be a little more subdued and blend well with the white granite countertops. 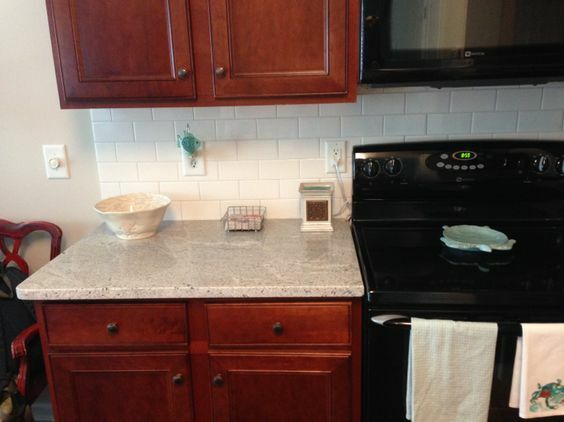 Adding a simple, white backsplash with the white granite and cherry cupboards makes it more rustic. Get a casual feel with this style of kitchen. 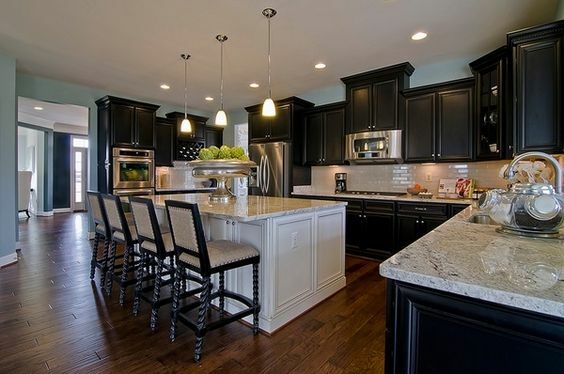 Not everyone wants colors on their cupboards but this really seems to pop with the white granite. You’ll get a unique look that’s still plenty stylish. 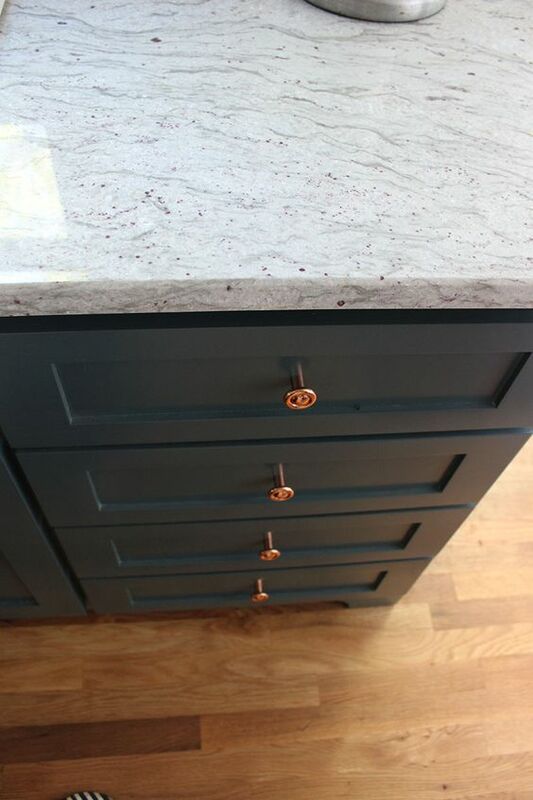 Mixing black cupboards with a white island and topping all of it with Kashmir white granite is elegant.You will have a modern and top of the line kitchen with this. Two-tone cabinets are making a comeback with this design. The white rustic style of the main cabinets contrasts with the deep cherry of the island for a unique look. This honey color is somewhat basic when it comes to cupboards, but it really pops when paired with the granite. The cupboard style helps accent the casual appearance. Here you’re getting not only the modern look of flat, black cupboards. 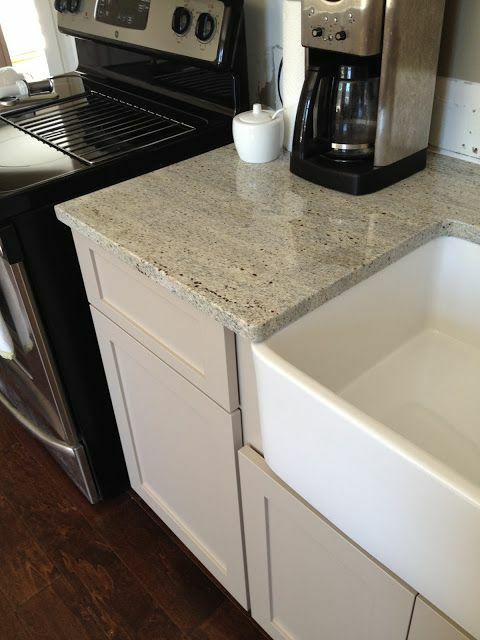 You’re also getting a waterfall appearance to the white granite countertop.